Problems that will eventually need orthodontic attention can become obvious long before a child has all of their permanent teeth. Depending on the type of problem a child has, our orthodontist may recommend two-phase treatment. It means that treatment is done at two different times, often to take advantage of predictable stages of dental development and physical growth. Here are six things parents should know about two-phase orthodontic treatment. 1. Two-phase orthodontic treatment is for kids, but it’s not for all kids. Most orthodontic problems can be treated in one phase of comprehensive treatment, however, there are a few exceptions. Help the jaws develop to ensure adequate space for all of the permanent teeth, especially the permanent canines. May reduce the need to pull permanent teeth in the future. Some problems that can be treated quite well in a growing child but may require corrective surgery if treatment occurs after growth ends. Normalize the relationship of the upper jaw to the lower jaw, especially in the case of an underbite. Intervene in a child’s prolonged sucking or abnormal swallowing. Damaging pressure can move teeth in the wrong directions and/or change the shape of the bone that supports teeth. Tuck in upper front teeth that stick out to reduce the risk of those teeth being broken or knocked out. 3. Moving baby teeth is not done for the sake of their appearance. While baby teeth can move during Phase One orthodontic treatment, their movement is part of the process to ensure sufficient space for permanent teeth. 4. Phase One of a two-phase orthodontic treatment begins when a child still has some baby teeth. 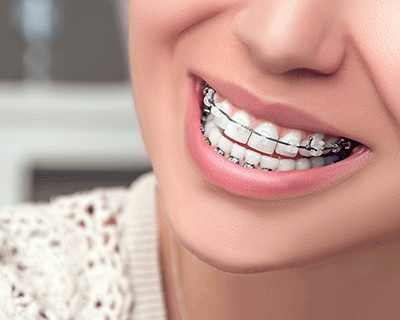 If an appliance is used in Phase One care, it could be a form of braces or another fixed appliance or could be a removable appliance. The type of appliance used depends on the needs of the individual patient. Some children may need to have baby teeth removed to clear a path for the permanent teeth to come. 5. A resting period follows Phase One orthodontic treatment. 6. Phase Two of orthodontic treatment usually begins when most or all of the permanent teeth are in. The goal of Phase Two treatment is to make sure teeth are in their proper places for good function, a healthy bite and a pleasing appearance. Give your child the best chance at a healthy, beautiful smile. Follow the American Braces & Smile Center recommendation that all children have their first check-up with an orthodontist no later than age 7. If an orthodontic problem is developing, the orthodontist will be able to monitor growth and development so that your child can have the most appropriate treatment at the most appropriate time. Click here to schedule your complimentary orthodontic consultation for your children in Ashburn or Woodbridge VA today. Visit an American Braces and Smile Center orthodontics offices in Woodbridge VA and Ashburn VA.